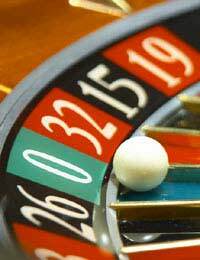 Gambling is an immensely popular pastime. It is difficult to know exactly how many British people gamble every year, but studies have indicated that around 76 percent of men and 68 percent of women gamble in some form. This includes every type of gambling, from playing the National Lottery, to betting on horses, to online poker. Gambling in the UK is regulated by the Gambling Commission, an independent body set up in 2005 to monitor all forms of gambling in Britain, apart from the Lottery or spread betting. The Commission was formed, in part, to administer the new Gambling Act 2005, a controversial act which relaxed significantly the existing laws on gambling in Britain. Casinos could now open 24 hours a day, and a new generation of “super casinos” would be built, each with as many as 1250 gambling machines. The government's argument for relaxing restrictions on gambling were, broadly speaking, economic. The government imposes heavy duties on the gambling industry, and it was thought that a increase in gambling would produce greater revenues for the treasury. It was also thought that the new generation of casinos would provide jobs and benefit communities. Opponents to the change in the law argued that super casinos and the general boom in gambling locations would lead to a rise in “problem gambling”. Problem gambling is sometimes referred to as an addiction, but generally regarded by psychologists as an “impulse control disorder”. These are people who cannot refrain from gambling, even when they know they cannot afford it. The government's economic case was strong: the gambling industry in Britain is worth more than £60 billion annually, and now more than ever, in the depths of a recession, the treasury is in need of cash. Critics also tended to overlook the fact that the new act removed gambling machines from fast food outlets and other public places, in an effort to prevent children from gambling. On the opponents' side however, were a number of studies, particularly from the US, showing that cities with casinos suffered considerably more crime, particularly theft, street crime, and fraud. Research by the Scottish Government also suggests that increased access to gambling does lead to more problem gamblers. This is especially prevalent in poorer areas, in which people are less likely to be able to afford to gamble, yet more likely to take large risks with their money. With the ever-growing availability of the Internet, the numbers of people participating in online gambling is also increasing. According to the Gambling Commission, 9.7 percent of people in 2008 gambled online, opposed to 8.8 percent in 2007, and 7.2 percent in 2006. Critics of Internet gambling say that the anonymity afforded by the web, along with the unlimited potential to spend, makes it even more dangerous than casino gambling. Additionally, it is easier for younger and under-aged people to obtain access to online gambling. There is also a much greater potential for rigging and cheating of online games, and given the huge number of gambling sites available, it is impossible to police all of them. But the social effects of online gambling are broadly the same as those of “real life” gambling. People are tempted to take ever greater risks, and can eventually bankrupt themselves. Some get into insurmountable debt; others even turn to crime in order to fund their habit. Happily, although at least 70 percent of Britons gamble regularly, it is thought that only 0.6 percent of people have a gambling problem. This figure has shown no significant rise in the last few years, although further research must be completed. So far, it seems that there has been no catastrophic “gambling explosion”, and that most gamblers have a good measure of self-control. However, it must be remembered that hundreds of thousands of people are still at risk from problem gambling, and that this figure is not decreasing. @des - I am very sorry to hear this and your comments will be helpful for any reader to hear who may be going through the same issues. Unfortunately, while it has been too late for you to put a halt on you not spending your money on gambling, just by reading of your losses, it will hopefully be able to stop someone else. I wish you the best of luck in trying to get your life back on track. Re gambling adiction. I am a civil servant. By 2011 through designing and building houses my wife and i had around £650k of cash ( no debt, no mortgage, no loans ). We were in the process of building a very large house and also own another hse site elsewhere.For a reason i don't have the answer for - I started playing online roulette in the local bookie, this started off a couple of pounds per spin, i then got into online blackjack and sports betting, this quickly escalated to betting £10000's per time.And from Oct 201 to March 2014 I had blown £420,000 of cash belonging tomy wife/kids/me. This is disgusting and shows how quicly you can become hooked to these machines. I now attend wekly GA for help with my addiction.